Prince had some words of warning for those trying to break into the music business during a meeting with a small group of journalists this weekend. 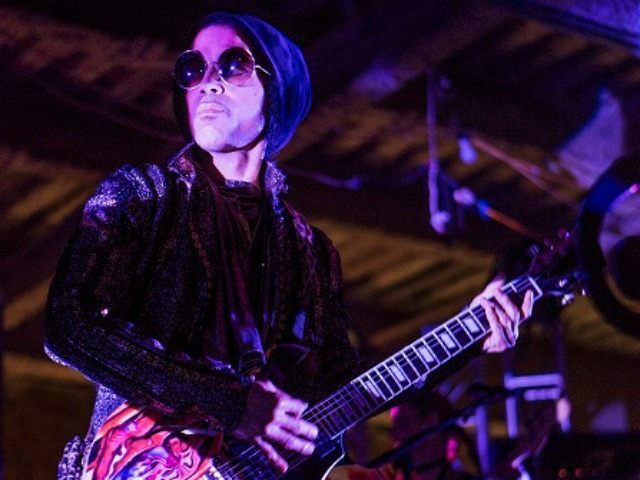 Hundreds of journalists from the NABJ, in Minneapolis for their annual convention, headed to Prince’s massive recording complex on Saturday night for what was billed as a dance party. But the musician himself did not perform at the gathering. Instead, he reportedly gave a short, seconds-long speech plugging his new album, “HitNRun,” that will be released September 7 on Jay-Z’s streaming service Tidal. According to the Wrap, most assumed the musician would perform for the group, as there were strict rules not to record or take photos of the festivities, and attendees had to register online in advance and pay a $20 cover fee. But Prince reportedly made his album pitch, and that was it. According to the Star Tribune, the musician had previously spent 45 minutes huddled with ten reporters including NPR’s Eric Deggans, ESPN’s Michael Wilbon and KCBS Radio’s Bob Butler. Deggans wrote that Prince discussed the state of the music industry with the select group of reporters, including the rationale behind making his album available exclusively on Tidal. As for the party, the DJ played just two Prince songs, both from the musician’s forthcoming album. Instead, attendees reportedly danced to classics from Luther Vandross and Digital Underground while eating mac-and-cheese and picking up T-shirts at a merchandise booth. Still, some reporters were upset that there was very little Prince at what was ostensibly a Prince-hosted event.